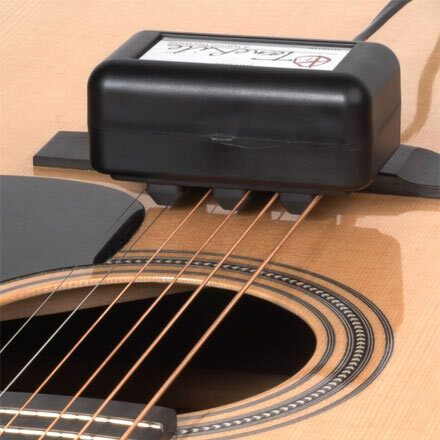 Improve the tone and projection of your guitar with this amazing device! For use in Europe: This model is a 220-volt AC electrical appliance, 50Hz. 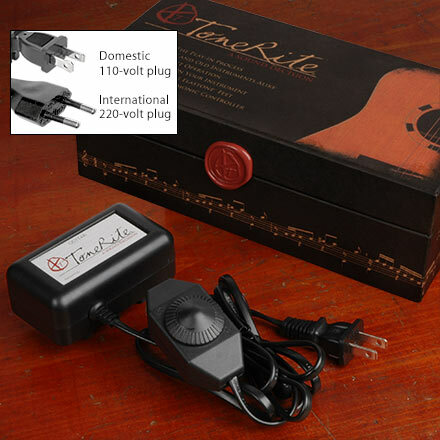 It has an international plug Type C (Europlug) with two round prongs, ungrounded. 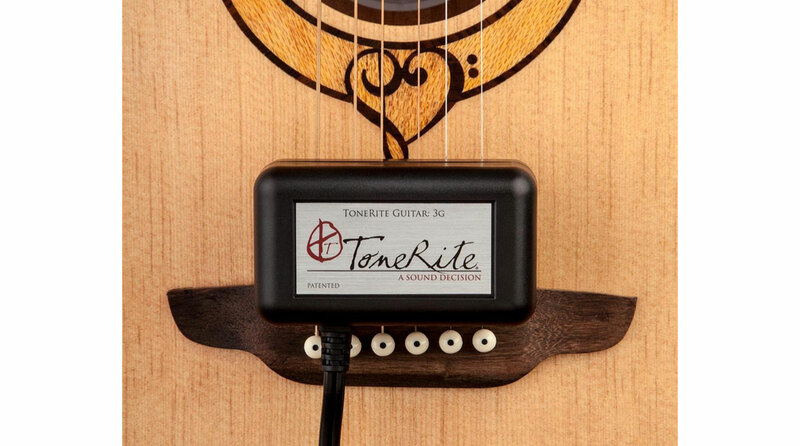 The ToneRite® has the guitar world buzzing! Simulates the effects of actual playing to bring out the best in your guitar. 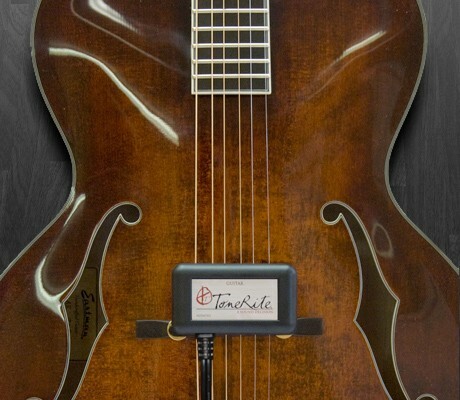 "The ToneRite® has made a dramatic difference in the tone of new instruments, and has helped to 'wake up' vintage instruments that haven't been played in years." "After one week with the ToneRite on the guitar, the voice of my LaVenezia opened-up beautifully!" —Bob Benedetto, Benedetto Guitars, Inc.
"All I know is the ToneRite works. It has caused several instruments in my shop to develop tone and response to a significant degree." 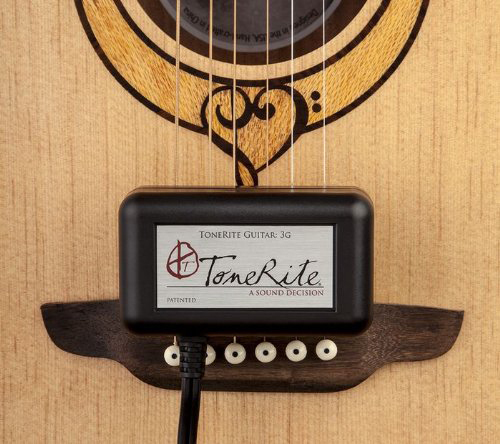 ToneRite fits between the strings of a steel-string, archtop, classical or acoustic bass guitar (up to 2-5/32" / 55mm string spread) and rests against the bridge. The special Elastone™ feet are designed to safely and quietly maximize energy transfer to the instrument. The intensity of vibration can be controlled by a convenient dial on the power cord.